ENERGY is the product of a unique and extremely rare additive synthesizer from the early 80’s, the Digital Keyboards Synergy. Released in 1982, the DK Synergy was based on an extremely sophisticated additive engine for the time, derived from the nearly $30,000 Crumar GDS (General Development System) and famously used by Wendy Carlos on the original TRON soundtrack. In fact many of the Synergy’s presets were crafted by Carlos herself, who is noted to still use the synth to this day. The Synergy had a short commercial run over 3 years, seeing less than 1,000 units produced as it was ultimately obscured by Yamaha’s runaway success with the far cheaper DX7. Actual production numbers are thought to be less than 700 units with very few of those surviving the last 30 years— making it an exceptionally rare instrument. ENERGY offers a thorough and authentic sampling of the DK Synergy’s output, covering the gamut of timbres and thoroughly exploiting its capable sound engine. 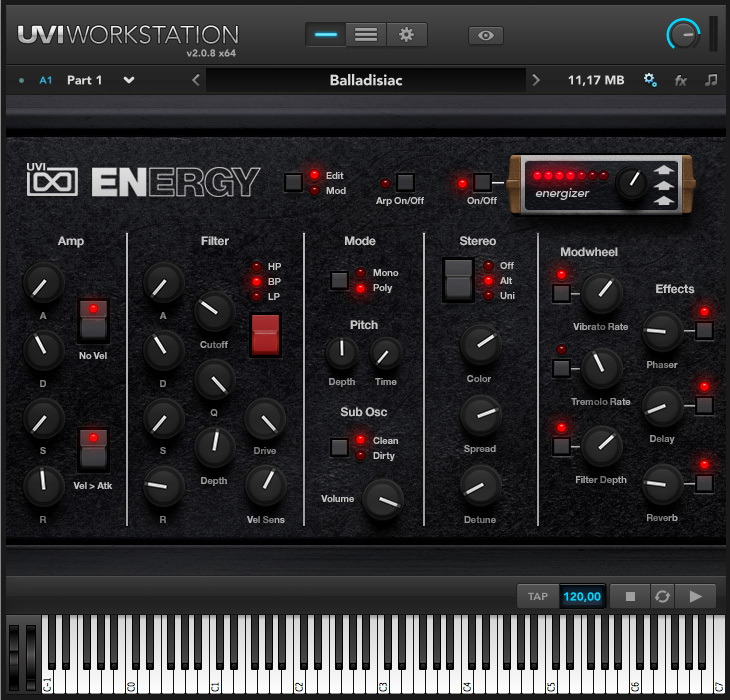 From FM-styled leads and keyboard sounds to evolving pads, bass and arpeggios, ENERGY provides a decidedly complex and unique tonal quality that sounds simultaneously vintage and futuristic. 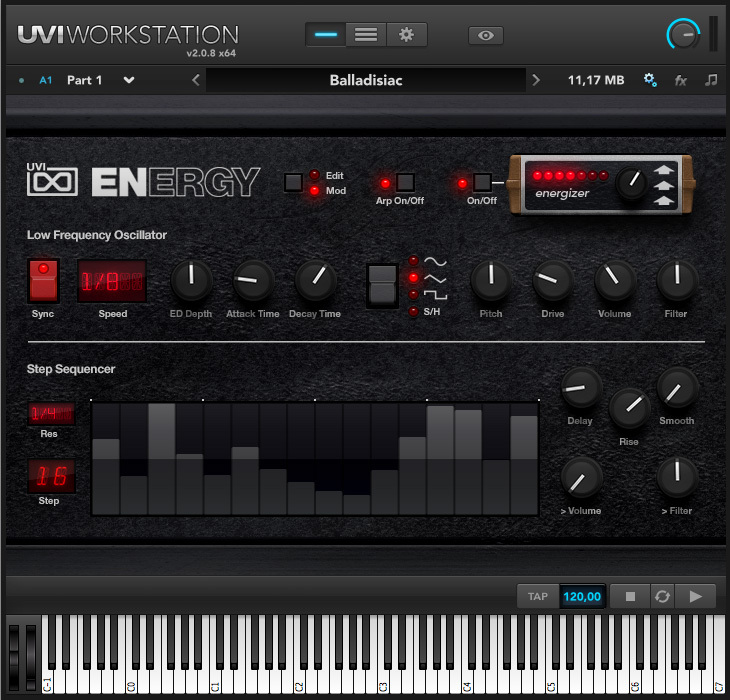 With ENERGY you can explore a wide range of presets or sculpt raw samples into your own custom patches through an intuitive and easy to use user interface, all with the rock- solid stability and outstanding performance of the UVI EngineTM. 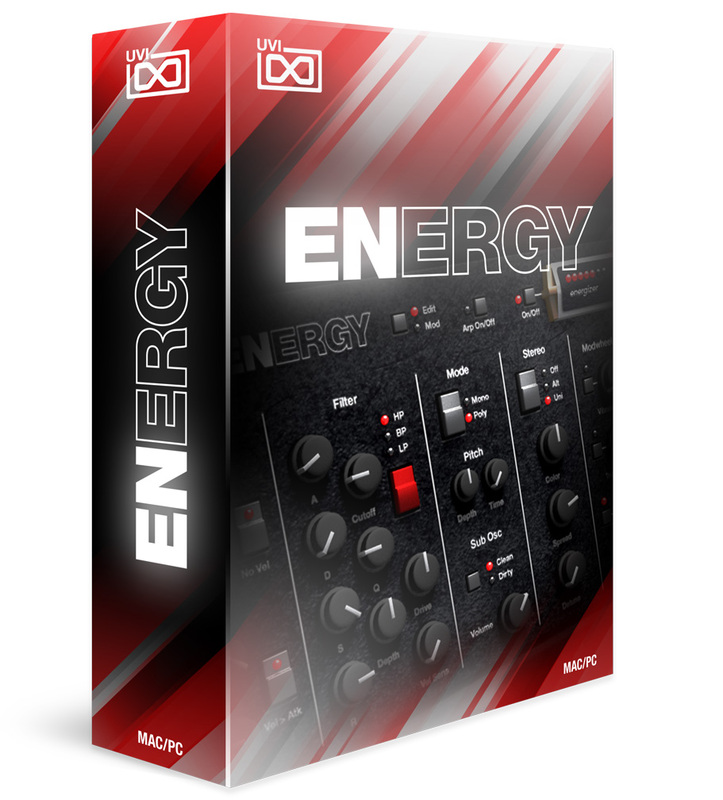 Previously exclusive to the Vintage Legends bundle ENERGY is now available separately, delivering an undeniable hardware signature and the pristine sound quality UVI is known for at an incredible price.